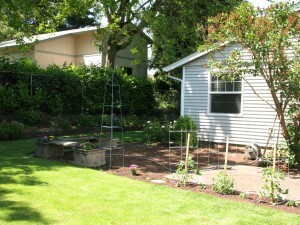 I have gardened semi-successfully in Vancouver Washington for 20+ years. The area where I live is blessed with lovely sandy loam soil, no rocks, little clay and is easy to work. That hasn't stopped me from making some magnificent mistakes. 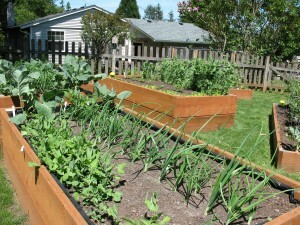 On the pages of lazytomatoes.com I would like to share some of my experiences, good and bad, to assist other gardeners and help them to avoid some of my gardening disasters. For a long time I thought all you needed to do to grow Vegetables was to throw the seeds in the ground and wait. It took me a few years to figure out that this is a spectacularly unsuccessful strategy. 20 years later I have learned many lessons the hard way about growing Vegetables in general, and growing Tomatoes in particular. So this blog is my attempt to share my thoughts on gardening with the world. And maybe I can encourage other victims of the gardening obsession to pass along their words of wisdom!